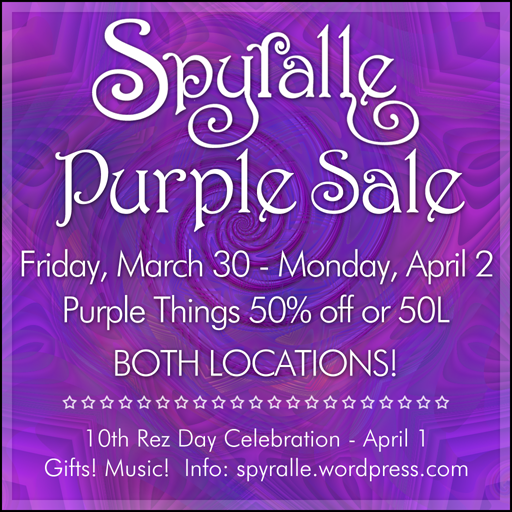 10th Rez Day PURPLE SALE! Can it really be 10 years since I started Second Life? This has been some journey! Many of my friends migrated to SL together when our “old world” Myst Online – Uru Live was closed in 2008*, so it’s not surprising that a lot of 10th Rez Days are popping up in the community. Tai’lahr and I discovered that our Rez Days fall just one day apart – mine on April 1 and hers on April 2. So we’re throwing a Party! We also share the same Favorite Color. PURPLE! 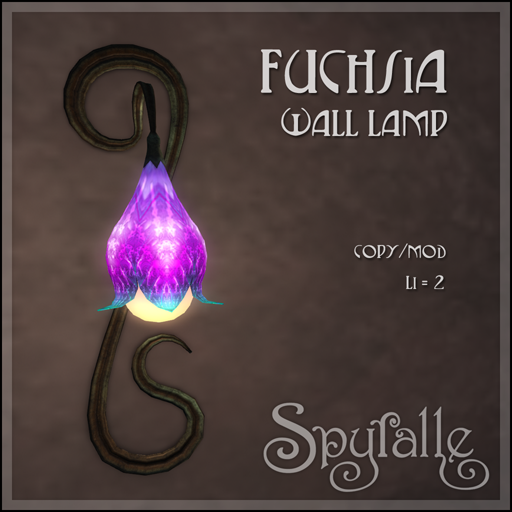 So Spyralle is having a Purple Sale over Easter weekend. 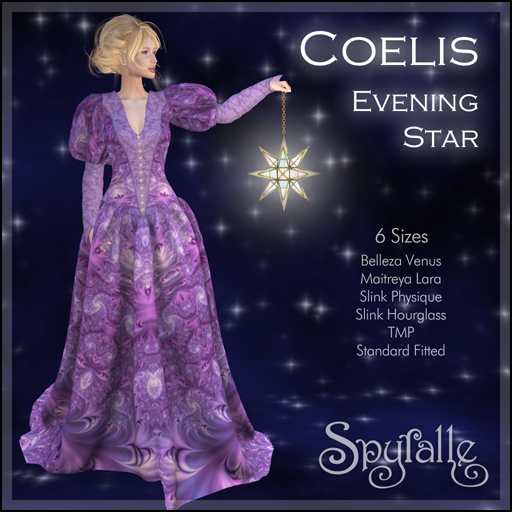 Most purple things will be 50% off or 50L, including some things that are only partly purple. Sale items will be marked with purple stars. PARTY DAY – APRIL 1! Join us for dancing or relaxed listening to one of DJ Ktahdn’s thoughtful, eclectic, unpredictable musical journeys! Will it be Chinese zither, Macedonian bagpipes, gregorian chant, Gilbert and Sullivan or our favorite songwriter songs? Come and find out. GIFTS! Kerryth and Tai have made rez day gifts for each other and for you too! The gifts will appear some time on Sunday down by the river near the future Petites department. They will vanish again some time on Monday. * A footnote. Myst Online Uru Live was reborn in 2010 and lives on, supported by user donations. This entry was posted in Events, Specials and Gifts and tagged Sale, Spyralle. Bookmark the permalink.